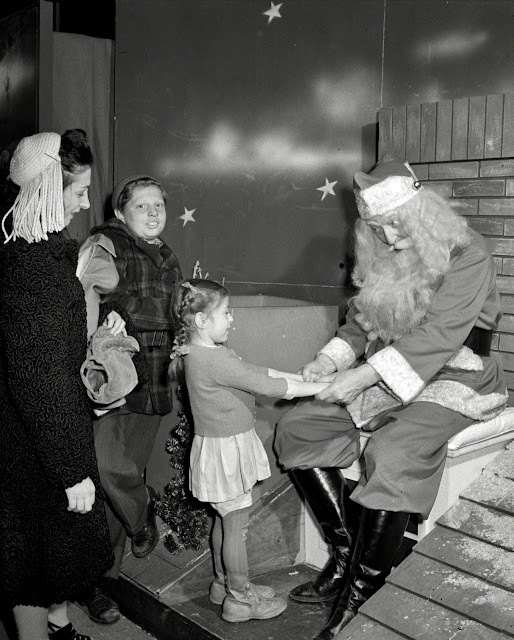 Throwback Thursday " Santa Claus at Macy's"
How great is this photo? The year is 1942, in the famous Macy's department store, who always have the best Santa! I love the Santa in the parade each year, he always looks so darn perfect. This year they started to have reservations to see the man in the red suit, to make the process go a bit smoother. I love the Mom's hat in this photo! We are so lucky to be able to still view these memories. I love how photography makes time stand still.